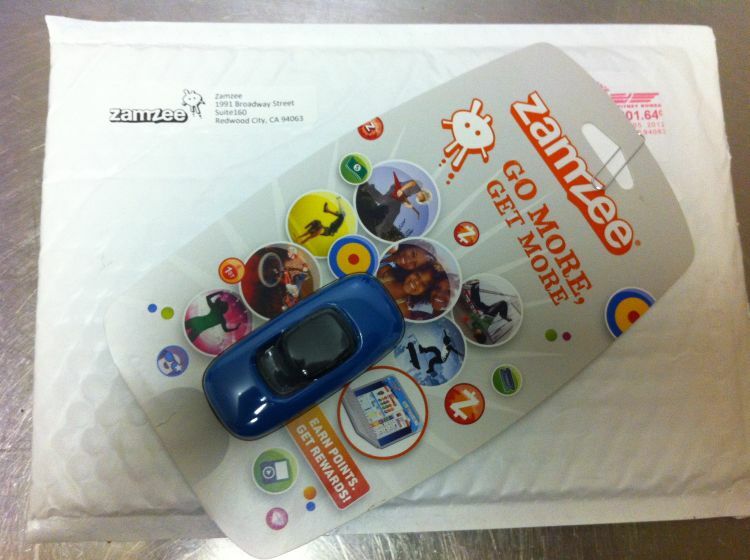 So hurray for me, I won a Zamzee! Thank you, Ms. Mel! Say what, BT? you probably asked. What is a Zamzee? Something between a thumb drive, Just Dance and a Tomagotchi. Only YOU are the virtual pet. Umm ok, you probably thought. Isn’t this for kids? While it is geared towards the younger generation, who these days don’t have to walk 10 miles to school (uphill both ways, during snowstorms, even in summer), responsible and active adults like you, yes YOU, *points at you* will find it useful. Also, Lionel Trains and baseball cards were meant for kids (once upon a time). Also also, we’re all kids at heart. If you have a Zamzee, it’s pretty simple. Clip it on your belt, and head out into the wild blue yonder/infinity and beyond/get on board the Great Space Coaster. When you get back to your computer (or another that has the program installed) plug it in and see the points/minutes that you racked up! There are no pressuring ‘calories burned’ counters, nor is your weight measured. There are challenges, but they are based on specific ‘points in this amount of time’ brackets (the descriptions for each challenge are creative and funny – particularly the one where you win a trip to London but Grampa says you better not think about it until that lawn gets mowed!). Pointz can be used for customizing your avatar, a little fella/lady who looks like you would, only 100% more cartoony (you get that from your father’s side). Not everything about the Zamzee is virtual though! There are Zamz! Zamz are available as rewards for some of the more challenging challenges (quite defining!). You can also use Zamz to buy premium avatar items, but they also can get you ‘real’ prizes (not a Zamzee, since you already have one, duh). Different Zamzee ‘skins’, leopard print duct tape, smart phone apps, and even console video games -ones that incorporate exercise that is (Running from/blasting zombies and rocket-jumping are NOT exercises). You can even use your Zamz towards donations to different causes and charities! The exchange rate runs about 100 Zamz for a dollar, which in this economy is pretty good. There are also Goalz, which are challenges set by people you know. If you ask for one, your ‘goal setter’ will put in an amount of real money (exchanged to Zams) and set the pointz you need to earn. Reach their goal and you win the Zamz! Zamzee also has is social interaction in that when you upload pointz, you can choose a status from 3 rows of choices to make odd, but non-offensive heroic tales of exermasize. “Slapping nuns like a bully during a bank robbery” is not an option. Star Wars and Harry Potter references do exist, so they know what items SHOULD be there. There are also seasonal ‘options’, so you can see they like to keep current and fun. You can ‘like’ other Zamzeenians (?) statuses and add them as friends, but there is no direct contact. (you CAN upload to twitter as well, if you have that login information linked in your preferences). Other than that, there are no chat or email options; which further lend to the idea that you should be outside doing something, not sitting in front of a keyboard/staring at a smartphone. So that’s a Zamzee. The big question though – is it fun to use? It is! As I mentioned winning a contest earlier, what scored me this Zamzee was mentioning my daily routine of getting off the train one stop past my job, then walking back to it at the end of the day- that being one way I get a bit of exercise in each day. It’s not 10 miles, uphill both ways, but it takes 10-15 minutes each way (yes I have done it in snow and rain storms). I also take the stairs (>10 floors) if required/possible (which is inspired by at least one of four elevators being out all the time!). I’m steadily gaining points and Zams every day, and even manage to win some 15 and 20 minute challenges just during my lunch hour. I’ve already got my eye on the 6 hour challenge (150 Zamz) which I will take on during one of the upcoming NYC street fairs. As I keep it clipped to my belt each day, it has become a habit, and *ding! * I figured it out; that’s the bottom line with Zamzee. To take each opportunity in your day to get moving and exercise. It’s geared towards kids and their potentially boundless energy, sure, but even grownups could find Zamzee fun and useful. If you have a desk job like me, it’s easy to fall into the habits and excuses of not exercising (planting and building stuff on your virtual farm are also not exercises). Of course Zamzee taps the competitive goals/reward spirit we all have, but at least you are out there and moving, not pestering long lost friends to help with your virtual barn raising. Wonder how many pointz THAT would be?